Freaky factor 1/5: Easy to treat with medicine and maybe, possibly helpful to humans. Yep. These are worms. 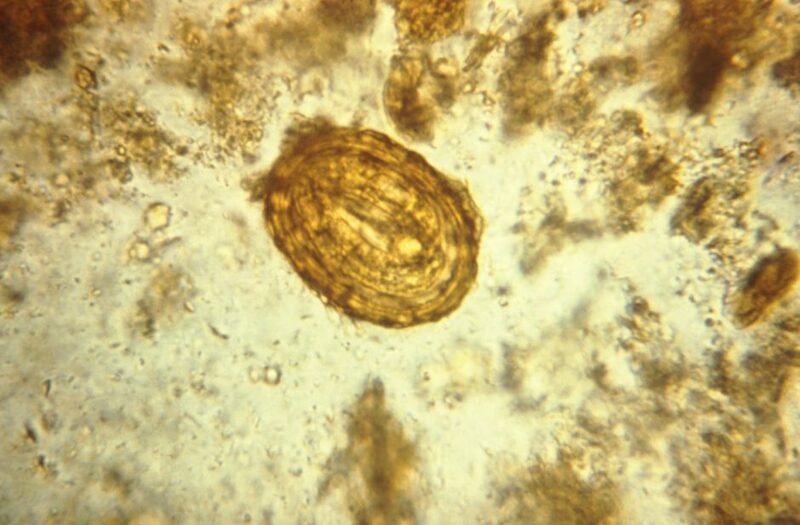 Ascaris lumbricoides is a large parasite that lives in a person’s gut. Sometimes, it can grow to be up to 35 centimeters long. These worms are often found in places in the world where sanitation is poor. 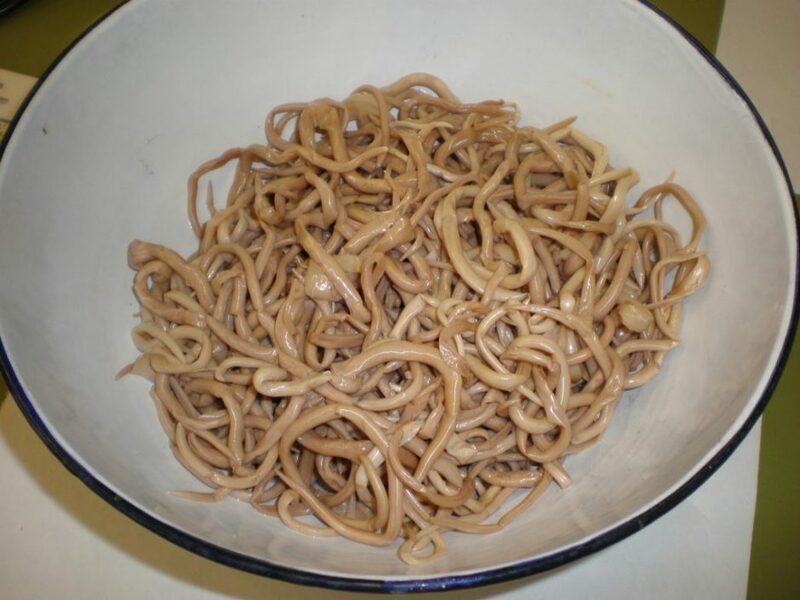 People usually get infected with these worms when they eat food or drink water that contains a few tiny worm eggs. 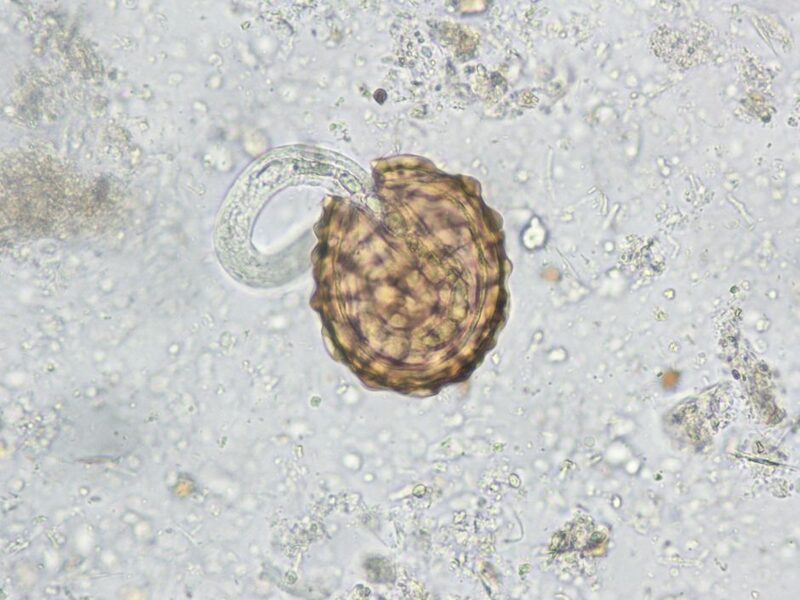 The eggs are small and can’t be seen without a microscope. The eggs later hatch, and the worms begin to grow inside the body. That’s when a person might start to notice an infection. Morphology of the diagnostic stages of intestinal helminth's fertilized egg of the parasite Ascaris lumbricoides. Having just one or two worms usually doesn’t cause much trouble. There is some scientific evidence that people who have intestinal worms are less likely to have allergies. However, having lots of worms can block up a person’s gut and can be serious. The good news is, if you’re a host for these worms—a host is what they call someone who has a parasite—it’s easy to get rid of them. A single dose of an oral medication usually will do the trick. 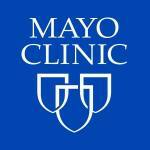 Bobbi Pritt, M.D., is a pathologist and microbiologist at Mayo Clinic. She loves learning about parasites. 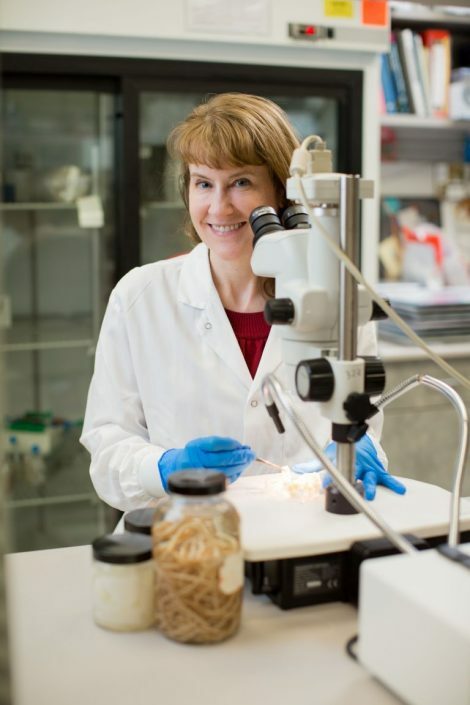 You can read her blog, Creepy Dreadful Wonderful Parasites and follow her @ParasiteGal. when i see this i feel happy.